Top Rated MCAT Prep Tutors in San Francisco, CA! Welcome to San Francisco’s top-rated private MCAT prep in-home tutoring service! All of the following San Francisco MCAT prep tutors are certified by Varsity Tutors, the leading tutoring agency in the country! All San Francisco MCAT prep tutors have been background checked, been interviewed, had mock MCAT prep tutoring sessions, and been trained by professionals. We guarantee you will love your local San Francisco MCAT prep tutor or your money back! Get information regarding a top-rated MCAT prep tutor today! 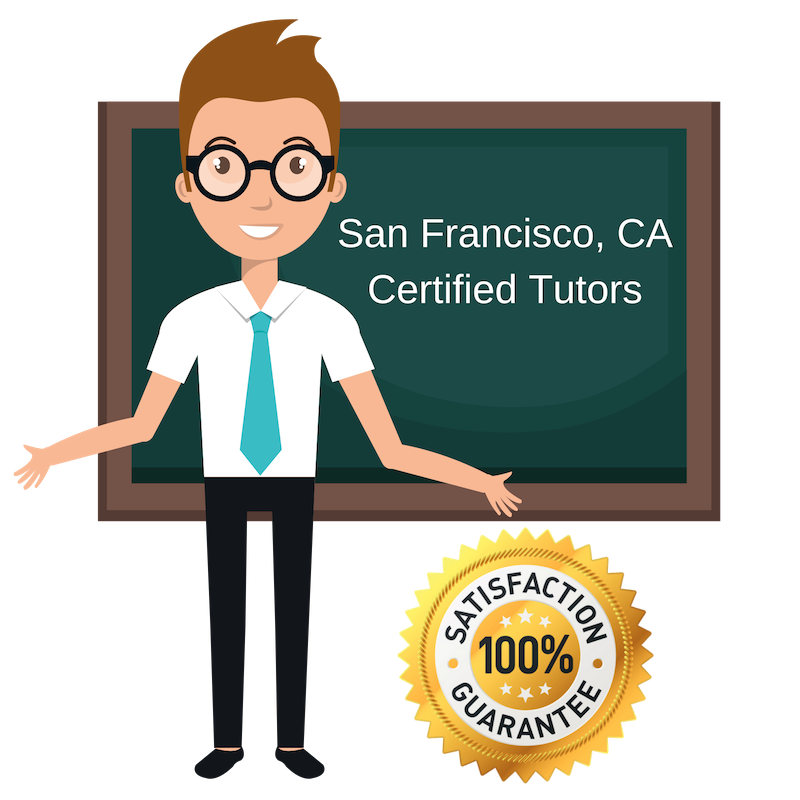 I am currently living and working as a professional tutor in San Francisco, CA. I specialize in graduate test prep for the MCAT. Having completed a post-baccalaureate pre-medical program at Mills College, I am currently applying for medical school myself. As such, I am very familiar with the most recent version of the MCAT and the applications process in general, and am comfortable offering assistance in a variety of relevant subjects. In addition to my pre-medical studies, I completed my bachelor’s degree in humanities at Shimer College and have also spent time working with AmeriCorps as a VISTA and private tutor. I am currently working as a private tutor for MCAT prep here in San Francisco, CA. I am currently a PhD student at the University of California, San Francisco, CA. Prior to my PhD work, I spent two years at Harvard University in Cambridge, MA working in biomedical research after completing my bachelor’s studies in biochemistry at Barnard College of Columbia University in 2014. Throughout college, I worked as a peer tutor. Now, I am also working as a teacher for elementary school students, specializing in abbreviated science classes to get the students excited about science. In terms of tutoring, I am comfortable teaching a variety of subjects in addition to the natural and physical sciences, although I favor teaching chemistry because of its utilization of both mathematics and physical science concepts. I am an enthusiastic personal tutor hoping to offer one-on-one help to prospective medical students in San Francisco, CA as they prepare for the MCAT. As an educator, I have more than six years of experience teaching a range of subjects in the sciences. In the past, I have taught physical science as well as AP/IB science subjects. In addition to my teaching experience, I have previously spent time working as a private tutor and have worked as a coach. I enjoy working with motivated individuals who have set goals for themselves, but also love showing students who may not have the most confidence all that they are capable of. I am a private tutor based in San Francisco, CA and available for personalized help preparing for the MCAT. I am currently a student myself, studying biotechnology at the master’s level at the University of San Francisco. I also hold a bachelor’s degree in biology from California Polytechnic State University, San Luis Obispo. In addition to completing my bachelor’s degree coursework with a focus on human anatomy and physiology, I completed a biotechnology minor during my time there. I worked as a peer tutor throughout my collegiate studies. My extensive coursework in various aspects of biology and the life science has equipped me with a robust skill set for mastering topics in these subjects and adequately preparing for exams. Netflix, camping, music, and video games. I am an experienced tutor currently specializing in preparation for the MCAT. I am located in San Francisco, CA and am presently enrolled in medical school at the University of California, San Francisco, CA. I have spent many years tutoring both publicly and privately. In the past, I have worked with students ages K-12 and up to college. I always take an individualized approach to tutoring where I focus on the student’s personal learning style. I try to identify their struggles with specific material or with general study strategies from the start so that we can work together to amend them or compensate for them with their strengths or novel study strategies. I hold a bachelor’s degree in mathematics and a master’s degree in public affairs from Smith College and the University of Texas at Austin, respectively.